When should I take my child to the dentist for the first checkup? The American Academy of Pediatric Dentistry and the American Academy of Pediatrics both recommend a child establish dental care by age 1. In order to prevent dental problems, your child should see a pediatric dentist when the first tooth appears, or no later than his or her first birthday. Pediatric dentists are the pediatricians of dentistry. A pediatric dentist has two to three years of specialty training after dental school and limits his or her practice to treating children only. Pediatric dentists are primary and specialty oral care providers for infants and children through adolescence, including those with special health needs. Click on the Find A Pediatric Dentist button located above. Enter your city, state, and zip for a list of pediatric dentists nearest you. If your entries result in “no matching pediatric dentist records were found,” broaden your search by entering the state only or nearest city and state. Avoid nursing children to sleep or putting anything other than water in their bed-time bottle. Also, learn the proper way to brush and floss your child’s teeth. Take your child to a pediatric dentist regularly to have his or her teeth and gums checked. The first dental visit should be scheduled by your child’s first birthday. 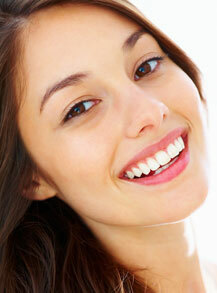 A checkup every six months is recommended in order prevent cavities and other dental problems. However, your pediatric dentist can tell you when and how often your child should visit, based on the little one’s personal oral health. The sooner the better! Starting at birth, clean your child’s gums with a soft infant toothbrush or cloth and water. As soon as the teeth begin to appear, start brushing twice daily using fluoridated toothpaste and a soft, age-appropriate-sized toothbrush. Use a “smear” of toothpaste to brush the teeth of a child less than two years of age. For a two- to five-year-old, dispense a “pea-sized” amount of toothpaste and perform or assist your child’s toothbrushing. Remember that young children do not have the ability to brush their teeth effectively. Children should spit out and not swallow excess toothpaste after brushing. Make sure your child has a balanced diet, including one serving each of: fruits and vegetables, breads and cereals, milk and dairy products, and meat, fish, and eggs. Limiting the servings of sugars and starches will also aid in protecting your son or daughter’s teeth from decay. You can also ask your pediatric dentist to help you select foods that protect your little one’s teeth. Sealants work by filling in the crevices on the chewing surfaces of the teeth. This shuts out food particles that could get caught in the teeth and cause cavities. The application is fast and comfortable and can protect teeth effectively for many years. Soft plastic mouthguards can be used to protect a little athlete’s teeth, lips, cheeks, and gums from sport-related injuries. A custom-fitted mouthguard developed by a pediatric dentist will protect your child from injuries to the teeth and face, and even provide protection from severe injuries to the head. The most important thing to do is to remain calm. Then find the tooth. Hold it by the crown rather than the root, and try to reinsert it in the socket. If that is not possible, put the tooth in a glass of milk and take your child and the glass immediately to the pediatric dentist. There is very little risk from dental X-rays. Pediatric dentists are especially careful to limit the amount of radiation to which children are exposed. Lead aprons and high-speed film are used to ensure safety and minimize the amount of radiation. Parents should take their children to the dentist regularly, beginning with the eruption of the first tooth. Then the dentist can recommend a specific program of brushing, flossing, and other treatments for parents to supervise and teach to their children. These home treatments, when added to regular dental visits and a balanced diet, will help give your son or daughter a lifetime of healthy habits.